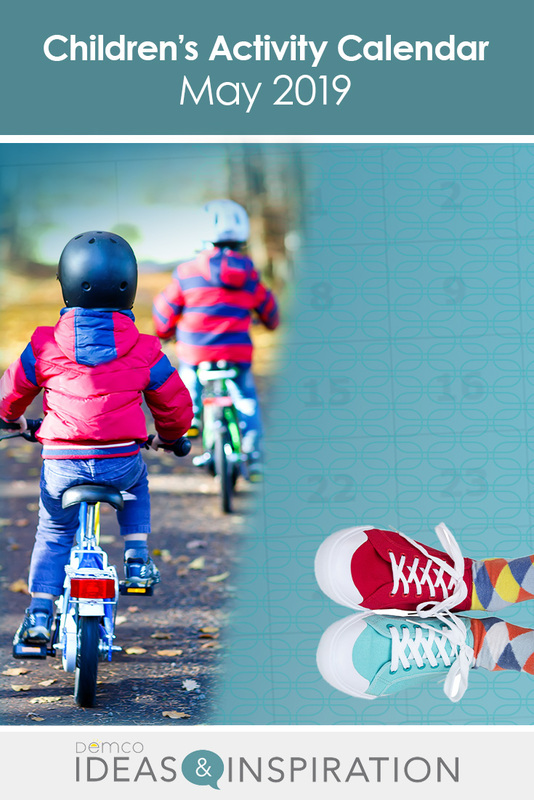 Children's Activity Calendar — May 2019: Fun Crafts, Books, & Activities! Children's Activity Calendar — May 2019: Fun Crafts, Books, & Activities! The school year is winding down, but that doesn’t mean the fun stops in your library! 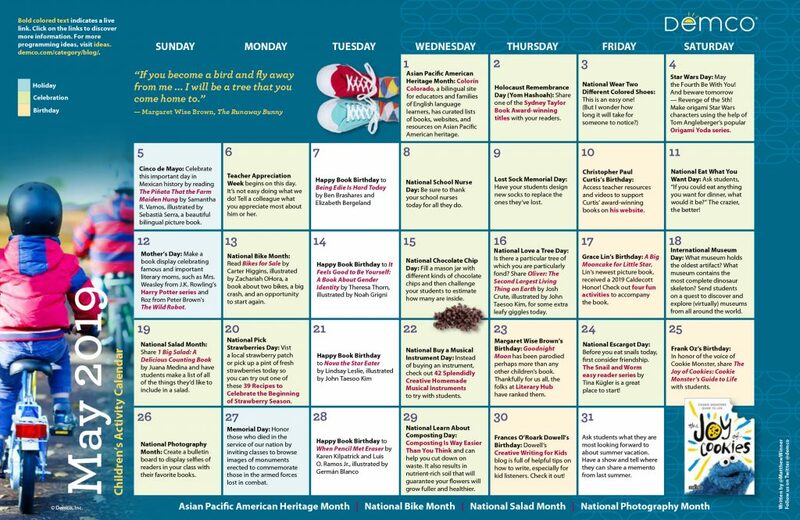 Not only is May National Bike Month and Asian Pacific American Heritage Month, but this month also features Lost Sock Memorial Day, Love a Tree Day, and much more! In this children’s activity calendar, Matthew Winner shares exciting activities, book suggestions, craft projects, and more to help you plan a magnificent May in your library!